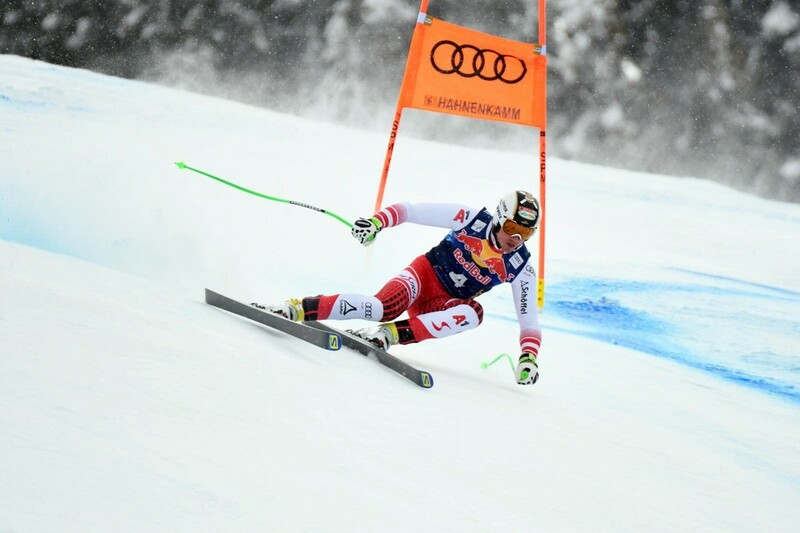 Hannes Reichelt, Hahnenkamm winner of 2014, demonstrated his unquestionable prowess with a nigh-on flawless run, resulting in the best time of the day: 1:57.41. ”It would be great if I could repeat my training performance all over again on Saturday,” said the Austrian after his run. 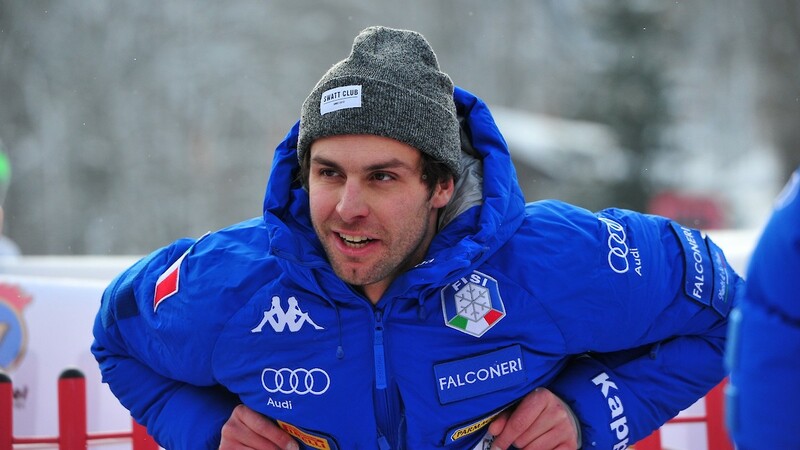 Matteo Marsaglia, who started training with the relatively high bib number of 51, was delighted with achieving today’s second best time: the Italian finished in sensational second place (+0.23 seconds). "It's great that so many spectators are here. 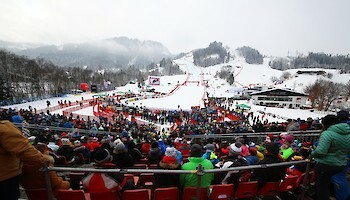 Kitzbühel is a very special place." After his Europacup victory on Monday and securing third place in the first downhill training, Daniel Danklmaier continued to demonstrate his top form today: the Austrian finished fourth fastest (+0.43) with a start number of 44. ”It’s an advantage for me that I already competed over this course in the Europacup. It was a good, clean run. I want to maintain that level of concentration for Saturday,“ said Danklmaier. 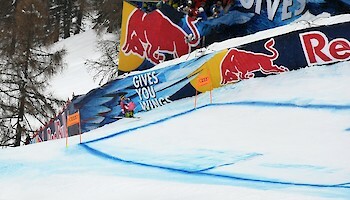 Two speed experts, Adrien Theaux from France and Christof Innerhofer (Italy), shared fifth place (+0.61). Seventh place went to Mauro Caviezel, the best Swiss athlete (+0.67), closely followed by Brice Roger (+0.70/France). Benjamin Thomsen also delivered an impressive performance: after coming second in the first training session, the Canadian came in a strong ninth (+0.71). The top ten was completed by Johan Clarey from France (+1.01). 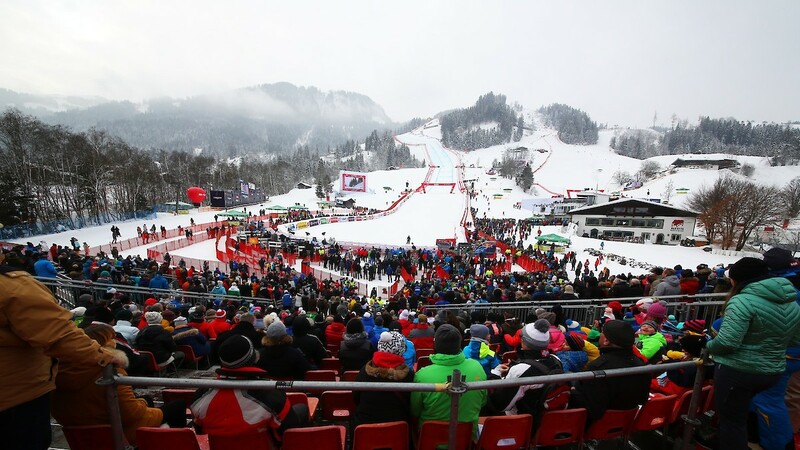 Athletes and fans can then look forward to the Hahnenkamm classic on Friday from 11:30 hrs.